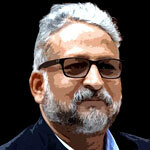 Sanjeev Kotnala: Are there books caged in your bookshelves? Are there books caged in your bookshelves. Are there books that you will never read or refer again? I fail to understand why booklovers cage books when they can UNCAGE BOOKS so that others could also enjoy reading pleasure. By keeping books displayed like trophies in graveyards called bookshelves, we do not do justice to their potential. Many professionals like doctors and lawyers are in perpetual learning mode. They have books that they need to refer with high frequency. New theories, processes and continued learning necessitate the need for recent publications. Keeping such books of regular use is absolutely essential. WHY CAGE BOOKS WHEN YOU CAN SHARE THEM? I urge you to UNCAGE BOOKS you no longer need. I am doing so this week. Give them to people who want to read them. They could be your friends, relatives, neighbours or even juniors. Or some library will take them. Extend the life of these books. Help them realise their real potential. I am asking you to share and surrender not resell. Let the person who wants it to pick it up from you. You could be extra generous. You could send it using the Indian Postal department services. They have encouraging rates for printed material including books and periodicals. Go ahead personalise this sharing with a message. Ask the recipient to be a part of this chain. Ask them to un-cage the books they no longer need. And if nothing else, after reading, UNCAGE THE BOOK they received from you. May be you will inspire them to keep the BOOKS BURIAL GROUND least populated. Then go ahead and buy more books to read. Fill that haunting empty space in your bookshelves. Or ask friends if they want to un-cage their books. In the first year, the sheer act of picking the books to UNCAGE was emotionally draining. These were the books that I had enjoyed reading and displayed as my collection. They are the reflection of my choice and preference. Some of the books actually moved stations with me. The second year was more comfortable. And now, it is a lot more satisfying. I look forward to this time of the year. As an annual ritual UNCAGE BOOKS. 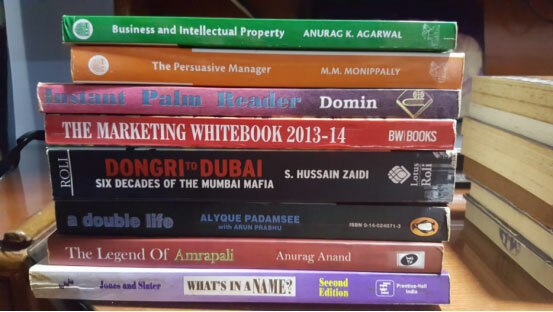 Till now I have UNCAGED 220 books in the last three years. This year another 22 books are being UnCaged. This is in addition to some two years of National geographic and Traveller, which has already found a new home with a friend of mine. I agree the toughest part is selecting the books you want to UNCAGE. I encourage you to keep the books you think you will refer, are your treasure of knowledge or have some emotional value attached to them. They have a utility. They are not dead. I use social media to the advantage. I am like every other year posting pictures of 22 books I am uncaging this year. It’s on Facebook, Instagram and my blog. My experience shows that it takes not more than a day or two to be claimed by new readers. 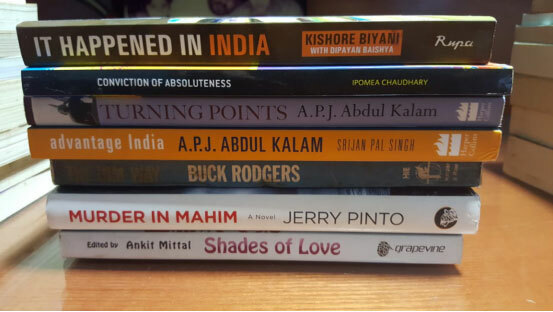 I even send then by Indian Post to readers who request them from outstation. So send me your choice and address in the comment box or send me a tweet on my tweet handle S_kotnala. I UNCAGE books of first-come-first-served basis. 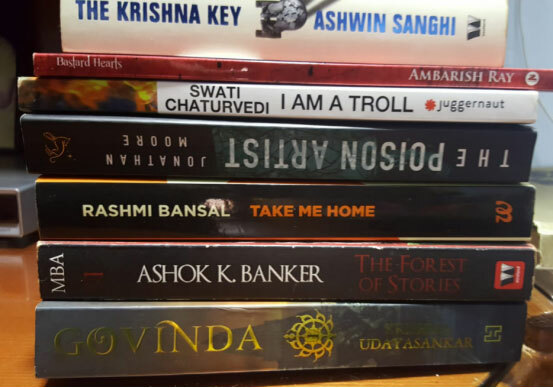 Someone picks it for the office library, few pick for own reading. Trust me out there are readers with a vast appetite for reading across genre. I found readers even for books by Chetan Bhagat and Sobha De. Sometimes, I have left books tucked in nicely in the seat pockets of aircraft. I leave the book with a cheeky note for the next passenger who may find it. Come to think of it. You could be starting a chain reaction. A movement that is worthy of being a part of. A SILLY BUT PRACTICAL IDEA. What if IAA India Chapter ot the Advertising Club of India, participates and encourages this sharing of knowledge. All they have to do is to make a table available at the next event, where people can bring the books they want to UnCage and leave it there. They can also pick any of the books already deposited others. Simple but sounds silly.